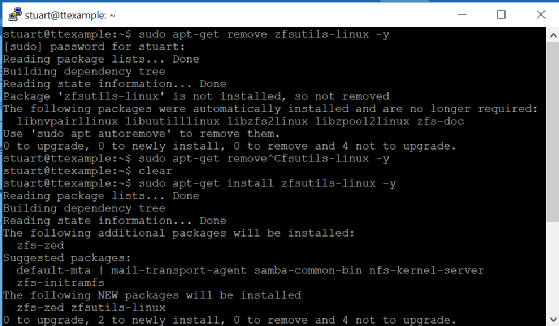 IT pros have said Kubernetes TLS bootstrap is a step in the right direction, and they have professed hope that it's the first of many more to come. 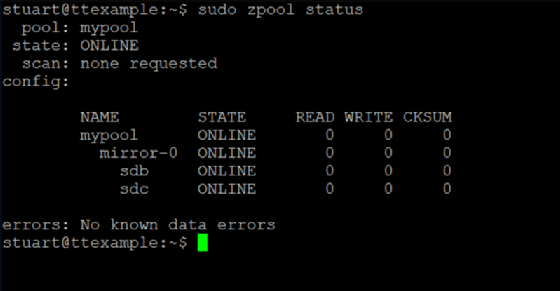 What is storage at the edge? Storage at the edge is the collective methods and technologies that capture and retain digital information at the periphery of the network, as close to the originating source as possible. In the early days of the internet, managing storage at the edge was primarily the concern of network administrators who had employees at remote branch offices (ROBOS). By the turn of the century, the term was also being used to describe direct-attached storage (DAS) in notebook computers and personal digital assistants (PDAs) used by field workers. Because employees did not always remember to back up storage at the edge manually, a primary concern was how to automate backups and keep the data secure. Today, as more data is being generated by networked internet of things (IoT) devices, administrators who deal with storage at the edge are more concerned with establishing workarounds for limited or intermittent connectivity and dealing with raw data that might need to be archived indefinitely. The prodigious volume of data coming from highway video surveillance cameras, for example, can easily overwhelm a traditional centralized storage model. This has led to experiments with pre-processing data at its source and centralizing storage for only a small part of the data. In the case of automotive data, for example, log files stored in the vehicle might simply be tagged so should the need arise, the data in question could be sent to the cloud for deeper analysis. In such a scenario, intermediary micro-data centers or high-performance fog computing servers could be installed at remote locations to replicate cloud services locally. This not only improves performance, but also allows connected devices to act upon perishable data in fractions of a second. Depending upon the vendor and technical implementation, the intermediary storage location may be referred to by one of several names including IoT gateway, base station or hub. Unstructured data is information, in many different forms, that doesn't hew to conventional data models and thus typically isn't a good fit for a mainstream relational database. Thanks to the emergence of alternative platforms for storing and managing such data, it is increasingly prevalent in IT systems and is used by organizations in a variety of business intelligence and analytics applications. Traditional structured data, such as the transaction data in financial systems and other business applications, conforms to a rigid format to ensure consistency in processing and analyzing it. Sets of unstructured data, on the other hand, can be maintained in formats that aren't uniform, freeing analytics teams to work with all of the available data without necessarily having to consolidate and standardize it first. That enables more comprehensive analyses than would otherwise be possible. One of the most common types of unstructured data is text. Unstructured text is generated and collected in a wide range of forms, including Word documents, email messages, PowerPoint presentations, survey responses, transcripts of call center interactions, and posts from blogs and social media sites. Other types of unstructured data include images, audio and video files. Machine data is another category, one that's growing quickly in many organizations. For example, log files from websites, servers, networks and applications -- particularly mobile ones -- yield a trove of activity and performance data. In addition, companies increasingly capture and analyze data from sensors on manufacturing equipment and other internet of things (IoT) connected devices. In some cases, such data may be considered to be semi-structured -- for example, if metadata tags are added to provide information and context about the content of the data. The line between unstructured and semi-structured data isn't absolute, though; some data management consultants contend that all data, even the unstructured kind, has some level of structure. Because of its nature, unstructured data isn't suited to transaction processing applications, which are the province of structured data. Instead, it's primarily used for BI and analytics. One popular application is customer analytics. Retailers, manufacturers and other companies analyze unstructured data to improve customer relationship management processes and enable more-targeted marketing; they also do sentiment analysis to identify both positive and negative views of products, customer service and corporate entities, as expressed by customers on social networks and in other forums. Predictive maintenance is an emerging analytics use case for unstructured data. For example, manufacturers can analyze sensor data to try to detect equipment failures before they occur in plant-floor systems or finished products in the field. Energy pipelines can also be monitored and checked for potential problems using unstructured data collected from IoT sensors. Analyzing log data from IT systems highlights usage trends, identifies capacity limitations and pinpoints the cause of application errors, system crashes, performance bottlenecks and other issues. Unstructured data analytics also aids regulatory compliance efforts, particularly in helping organizations understand what corporate documents and records contain. Analyst firms report that the vast majority of new data being generated is unstructured. In the past, that type of information often was locked away in siloed document management systems, individual manufacturing devices and the like -- making it what's known as dark data, unavailable for analysis. But things changed with the development of big data platforms, primarily Hadoop clusters, NoSQL databases and the Amazon Simple Storage Service (S3). They provide the required infrastructure for processing, storing and managing large volumes of unstructured data without the imposition of a common data model and a single database schema, as in relational databases and data warehouses. A variety of analytics techniques and tools are used to analyze unstructured data in big data environments. Text analytics tools look for patterns, keywords and sentiment in textual data; at a more advanced level, natural language processing technology is a form of artificial intelligence that seeks to understand meaning and context in text and human speech, increasingly with the aid of deep learning algorithms that use neural networks to analyze data. Other techniques that play roles in unstructured data analytics include data mining, machine learning and predictive analytics. In a 2009 study of its employee data, Google discovered that the top seven characteristics of a successful manager at the company didn't involve technical expertise. For example, they included being a good coach and an effective communicator, having a clear vision and strategy, and empowering teams without micromanaging them. Technical skills were No. 8. Google's list, which was updated this year to add collaboration and strong decision-making capabilities as two more key traits, applies specifically to its managers, not to technical workers. But the findings from the study, known as Project Oxygen, are also relevant to building an effective analytics team. Obviously, STEM skills are incredibly important in analytics. But as Google's initial and subsequent studies have shown, they aren't the whole or even the most important part of the story. As an analytics leader, I'm very glad that someone has put numbers to all this, but I've always known that the best data scientists are also empathetic and creative storytellers. What's churning in the job market? The role of statisticians and data scientists is changing -- and becoming more and more important in today's dynamic business world. According to the latest employment projections report by the U.S. Bureau of Labor Statistics, statisticians are in high demand. Among occupations that currently employ at least 25,000 people, statistician ranks fifth in projected growth rate; it's expected to grow by 33.8% from 2016 to 2026. For context, the average rate of growth that the statistics bureau forecasts for all occupations is 7.4%. 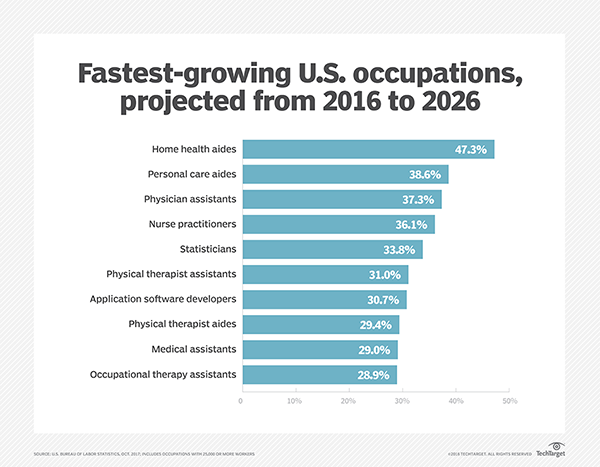 And with application software developers as the only other exception, all of the other occupations in the top 10 are in the healthcare or senior care verticals, which is consistent with an aging U.S. population. Statistician is fifth among occupations with at least 25,000 workers projected to grow at the fastest rates. Thanks to groundbreaking innovations in technology and computing power, the world is producing more data than ever before. Businesses are using actionable analytics to improve their day-to-day processes and drive diverse functions like sales, marketing, capital investment, HR and operations. Statisticians and data scientists are making that possible, using not only their mathematical and scientific skills, but also creativity and effective communication to extract and convey insights from the new data resources. In 2017, IBM partnered with job market analytics software vendor Burning Glass Technologies and the Business-Higher Education Forum on a study that showed how the democratization of data is forcing change in the workforce. Without diving into the minutia, I gathered from the study that with more and more data now available to more and more people, the insights garnered from the data set you apart as an employee -- or as a company. The need to find and communicate these insights influences how we hire and train our up-and-coming analytics employees at Dun & Bradstreet. Our focus is still primarily on mathematics, but we also consider other characteristics like critical- and innovative-thinking abilities as well as personality traits, so our statisticians and data scientists are effective in their roles. As an analytics leader, I've always known that the best data scientists are also empathetic and creative storytellers. Our employees have the advantage of working for a business-to-business company that has incredibly large and varied data sets -- containing more than 300 million business records -- and a wide variety of customers that are interested in our analytics services and applications. They get to work on a very diverse set of business challenges, share cutting-edge concepts with data scientists in other companies and develop creative solutions to unique problems. Our associates are encouraged to pursue new analytical models and data analyses, and we have special five-day sprints where we augment and enhance some of the team's more creative suggestions. These sprints not only challenge the creativity of our data analysts, but also require them to work on their interpersonal and communication skills while developing these applications as a group. It's very important to realize that some business users aren't yet completely comfortable with a well-rounded analytics team. For the most part, when bringing in an analyst, they're looking for confirmation of a hypothesis rather than a full analysis of the data at hand. If that's the case in your organization, then be persistent. As your team continues to present valuable insights and creative solutions, your peers and business leaders across the company will start to seek guidance from data analysts as partners in problem-solving much more frequently and much earlier in their decision-making processes. As companies and other institutions continue to amass data exponentially and rapid technological changes continue to affect the landscape of our businesses and lives, growing pains will inevitably follow. Exceptional employees who have creativity and empathy, in addition to mathematical skills, will help your company thrive through innovation. Hopefully, you have more than a few analysts who possess those capabilities. Identify and encourage them -- and give permission to the rest of your analytics team to think outside the box and rise to the occasion. What is the difference between data science and business analyst jobs? 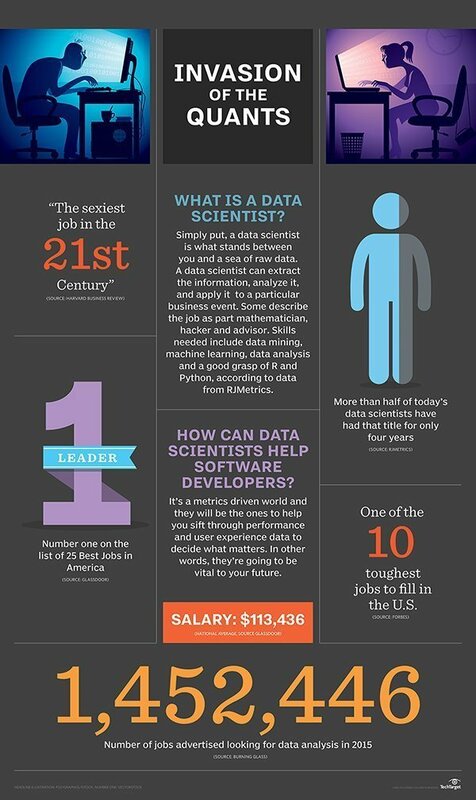 And what kind of training or education is required to become a data scientist? There are a number of differences between data scientists and business analysts, the two most common business analytics roles, but at a high level, you can think about the distinction as similar to a medical researcher and a lab technician. One uses experimentation and the scientific method to search out new, potentially groundbreaking discoveries, while the other applies existing knowledge in an operational context. Data scientist vs. business analyst comes down to the realms they inhabit. Data scientists delve into big data sets and use experimentation to discover new insights in data. Business analysts, on the other hand, typically use self-service analytics tools to review curated data sets, build reports and data visualizations, and report targeted findings -- things like revenue by quarter or sales needed to hit targets. A data scientist takes analytics and data warehousing programs to the next level: What does the data really say about the company, and is the company able to decipher relevant data from irrelevant data? A data scientist should be able to leverage the enterprise data warehouse to dive deeper into the data that comes out or to analyze new types of data stored in Hadoop clusters and other big data systems. A data scientist doesn't just report on data like a classic business analyst does, he also delivers business insights based on the data. A data scientist job also requires a strong business sense and the ability to communicate data-driven conclusions to business stakeholders. Strong data scientists don't just address business problems, they'll also pinpoint the problems that have the most value to the organization. 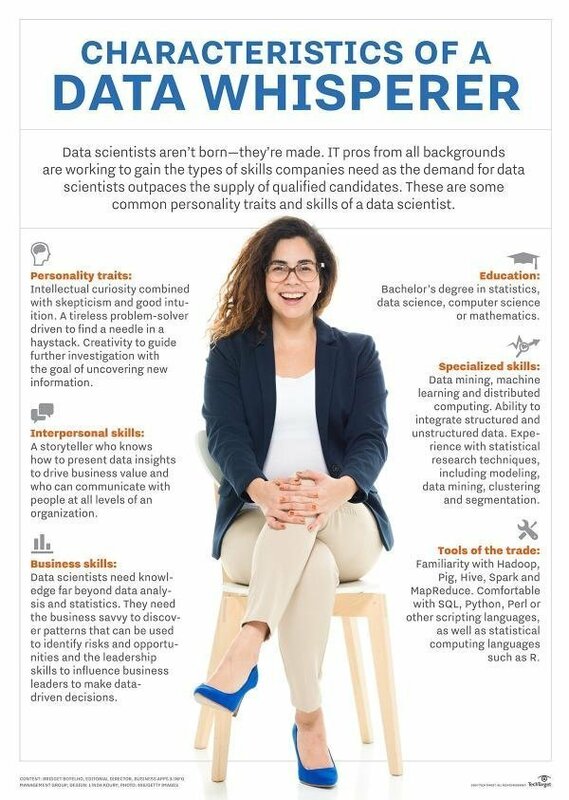 A data scientist plays a more strategic role within an organization. Data scientists look through all the available data with the goal of discovering a previously hidden insight that, in turn, can provide a competitive advantage or address a pressing business problem. Data scientists do not simply collect and report on data -- they also look at it from many angles, determine what it means and then recommend ways to apply the data. These insights could lead to a new product or even an entirely new business model. Data scientists apply advanced machine learning models to automate processes that previously took too long or were inefficient. They use data processing and programming tools -- often open source, like Python, R and TensorFlow -- to develop new applications that take advantage of advances in artificial intelligence. These applications may perform a task such as transcribing calls to a customer service line using natural language processing or automatically generating text for email campaigns. A business analyst -- a title often used interchangeably with data analyst -- focuses more on delivering operational insights to lines of business using smaller, more targeted data sets. For example, a business analyst tied to a sales team will work primarily with sales data to see how individual team members are performing, to identify members who might need extra coaching and to search for other areas where the team can improve on its performance. Business analysts typically use self-service analytics and data visualization tools. Using these tools, business analysts can build reports and dashboards that team members can use to track their performance. Typically, the information contained in these reports is retrospective rather than predictive. To become a business analyst, you need a familiarity with statistics and the basic fundamentals of data analysis, but there are many self-service analytics tools that do the mathematical heavy lifting for you. Of course, you have to know if it's statistically meaningful to join two separate data sets, and you have to understand the distinction between correlation and causation. But, on the whole, a deep background in mathematics is unnecessary. To become a data scientist, on the other hand, you need a strong background in math. This is one of the primary differences in the question of data scientists vs. business analysts. Many data scientists have doctorates in some field of math. Many have backgrounds in physics or other advanced sciences that lean heavily on statistical inference. Business analysts can generally pick up the technical skills they need on the job. Whether an enterprise uses Tableau, Qlik or Power BI -- the three most common self-service analytics platforms -- or another tool, most use graphical user interfaces that are designed to be intuitive and easy to pick up. Data science jobs require more specific technical training. In addition to advanced mathematical education, data scientists need deep technical skills. They must be proficient in several common coding languages -- including Python, SQL and Java -- which enable them to run complex machine learning models against big data stored in Hadoop or other distributed data management platforms. Most often, data scientists pick up these skills from a college-level computer science curriculum. However, trends in data analytics are beginning to collapse the line between data science and data analysis. Increasingly, software companies are introducing platforms that can automate complex tasks using machine learning. At the same time, self-service software supports deeper analytical functionality, meaning data scientists are increasingly using tools that were once solely for business analysts. Companies often report the highest analytics success when blending teams, so data scientists working alongside business analysts can produce operational benefits. This means that the data scientist vs. business analyst distinctions could become less important as time goes on -- a trend that may pay off for enterprises. Companies are faced with a dilemma on big data analytics initiatives: whether to hire data scientists from outside or train current employees to meet new demands. In many cases, realizing big data's enormous untapped potential brings the accompanying need to increase data science skills -- but building up your capacity can be tricky, especially in a crowded market of businesses looking for analytics talent. Self-service business intelligence (SSBI) is an approach to data analytics that enables business users to access and work with corporate data even though they do not have a background in statistical analysis, business intelligence (BI) or data mining. 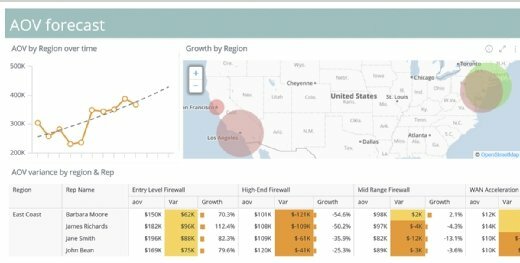 Allowing end users to make decisions based on their own queries and analyses frees up the organization's business intelligence and information technology (IT) teams from creating the majority of reports and allows those teams to focus on other tasks that will help the organization reach its goals. Because self-service BI software is used by people who may not be tech-savvy, it is imperative that the user interface (UI) for BI software be intuitive, with a dashboard and navigation that is user-friendly. Ideally, training should be provided to help users understand what data is available and how that information can be queried to make data-driven decisions to solve business problems, but once the IT department has set up the data warehouse and data marts that support the business intelligence system, business users should be able to query the data and create personalized reports with very little effort. While self-service BI encourages users to base decisions on data instead of intuition, the flexibility it provides can cause unnecessary confusion if there is not a data governance policy in place. Among other things, the policy should define what the key metrics for determining success are, what processes should be followed to create and share reports, what privileges are necessary for accessing confidential data and how data quality, security and privacy will be maintained. Explore the data discovery software market, including the products and vendors helping enterprises glean insights using data visualization and self-service BI. Turning data into business insight is the ultimate goal. It's not about gathering as much data as possible, it's about applying tools and making discoveries that help a business succeed. The data discovery software market includes a range of software and cloud-based services that can help organizations gain value from their constantly growing information resources. These products fall within the broad BI category, and at their most basic, they search for patterns within data and data sets. Many of these tools use visual presentation mechanisms, such as maps and models, to highlight patterns or specific items of relevance. The tools deliver visualizations to users, including nontechnical workers, such as business analysts, via dashboards, reports, charts and tables. The big benefit here: data discovery tools provide detailed insights gleaned from data to better inform business decisions. In many cases, the tools accomplish this with limited IT involvement because the products offer self-service features. Using extensive research into the data discovery software market, TechTarget editors focused on the data discovery software vendors that lead in market share, plus those that offer traditional and advanced functionality. Our research included data from TechTarget surveys, as well as reports from respected research firms, including Gartner and Forrester. Alteryx Inc.'s Connect markets itself as a collaborative data exploration and data cataloging platform for the enterprise that changes how information workers discover, prioritize and analyze all the relevant information within an organization. The data discovery software market includes a range of software and cloud-based services that can help organizations gain value from their constantly growing information resources. Data Discovery, which lets users discover the information they need through search capabilities. Certification and Trust, which provides insights into information asset trustworthiness through certification, lineage and versioning. 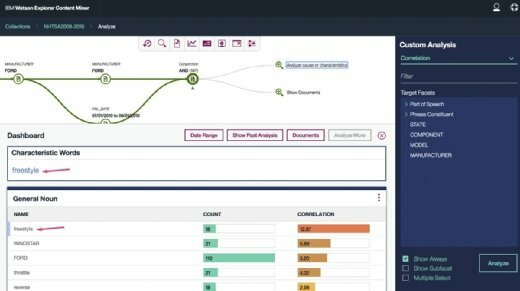 Alteryx Connect data discovery software combines metadata with human insight. Alteryx touts these features as decreasing the time necessary to gain insight and supporting faster, data-driven decisions by improving collaboration, enhancing analytic productivity and ensuring data governance. Domo Inc. provides a single-source system for end-to-end data integration and preparation, data discovery, and sharing in the cloud. It's mobile-focused, and it doesn't need you to integrate desktop software, third-party tools or on-premises servers. With more than 500 native connectors, Domo designed the platform for quick and easy access to data from across the business, according to the company. It contains a central repository that ingests the data and aids version and access control. Domo also provides one workspace from which people can choose and explore all the data sets available to them in the platform. Data discovery capabilities include Data Lineage, a path-based view that clarifies data sources. This feature also enables simultaneous display of data tables alongside visualizations, aiding insight discovery, as well as card-based publishing and sharing. The GoodData Corp.'s cloud-based Enterprise Insights Platform is an end-to-end data discovery software platform that gathers data and user decisions, transforming them into actionable insights for line-of-business users. The GoodData Enterprise Insights Platform is a cloud-based discovery software platform featuring predictive analytics. The platform provides insights in the form of recommendations and predictive analytics with the goal of delivering the analytics that matter most for real-time decision-making. Customers, partners and employees see information that is relevant to the decision at hand, presented in what GoodData claims is a personalized, contextual, intuitive and actionable form. Users can also integrate these insights directly into applications. IBM has a host of data discovery products, and one of the key offerings is IBM Watson Explorer. It's a cognitive exploration and content analysis platform that enables business users to easily explore and analyze structured, unstructured, internal, external and public data for trends and patterns. Organizations have used Watson Explorer to understand 100% of incoming calls and emails, to improve the quality of information, and to enhance their ability to use that information, according to IBM. IBM Watson Explorer is a cognitive exploration and content analysis platform. Machine learning models, natural language processing and next-generation APIs combine to help organizations unlock value from all of their data and gain a secure, 360-degree view of their customers, in context, according to the company. The platform also enables users to classify and score structured and unstructured data with machine learning to reach the most relevant information. And a new mining application gives users deep insights into structured and unstructured data. Informatica LLC offers multiple data management products powered by its Claire engine as part of its Intelligent Data Platform. The Claire engine is a metadata-driven AI technology that automatically scans enterprise data sets and exploits machine learning algorithms to infer relationships about the data structure and provide recommendations and insights. By augmenting end users' individual knowledge with AI, organizations can discover more data from more users in the enterprise, according to the company. Another component, Informatica Enterprise Data Catalog, scans and catalogs data assets across the enterprise to deliver recommendations, suggestions and data management task automation. Semantic search and dynamic facet capabilities allow users to filter search results and get data lineage, profiling statistics and holistic relationship views. Informatica data discovery software is powered by the company's Claire engine, which scans enterprise data and infers relationships to offer insights and recommendations. 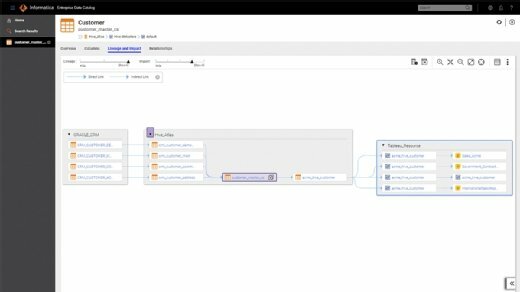 Informatica Enterprise Data Lake enables data analysts to quickly find data using semantic and faceted search and to collaborate with one another in shared project workspaces. Machine learning algorithms recommend alternative data sets. Analysts can sample and prepare datasets in an Excel-like data preparation interface, which analysts can operationalize as reusable workflows. Information Builders claims its WebFocus data discovery software platform helps companies use BI and analytics strategically across and beyond the enterprise. The platform includes a self-service visual discovery tool that enables nontechnical business users to conduct data preparation; visually analyze complex data sets; generate sophisticated data visualizations, dashboards, and reports; and share content with other users. Its extensive visualization and charting capabilities provide an approach to self-service discovery that supports any type of user, Information Builders claims. The Information Builders WebFocus data discovery platform includes self-service BI and visual discovery tools for business decision-makers. Information Builders offers a number of tools related to the WebFocus BI and analytics platform that provide enterprise-grade analytics and data discovery. One is WebFocus InfoApps, which can take advantage of custom information applications designed to enable nontechnical users to rapidly gather insights and explore specific business contexts. InfoApps can include parameterized dashboards, reports, charts and visualizations. Another tool, WebFocus InfoAssist, enables governed self-service reporting, analysis and discovery capabilities to nontechnical users. The product offers a self-service BI capability for immediate data access and analysis. 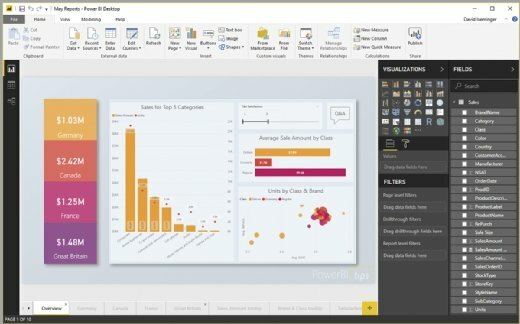 Microsoft Power BI is a cloud-based business analytics service that enables users to visualize and analyze data. The same users can distribute data insights anytime, anywhere, on any device in just a few clicks, according to the company. As a BI and analytics SaaS tool, Power BI equips users across an organization to build reports with colleagues and share insights. It connects to a broad range of live data through dashboards, provides interactive reports and delivers visualizations that include KPIs from data on premises and in the cloud. 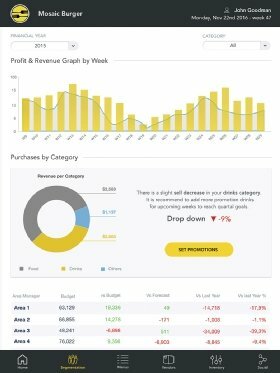 Microsoft Power BI connects a broad range of live data using dashboards, delivering visualizations and interactive reports. Organizations can use machine learning to automatically scan data and gain insights, ask questions of the data using natural language queries, and take advantage of more than 140 free custom visuals created by the user community. Power BI applications include dashboards with prebuilt content for cloud services, including Salesforce, Google Analytics and Dynamics 365. It also integrates seamlessly with Microsoft products, such as Office 365, SharePoint, Excel and Teams. Organizations can start by downloading Power BI Desktop for free, while Power BI Pro and Premium offer several licensing options for companies that want to deploy Power BI across their organization. MicroStrategy Ltd. designed its Desktop client to deliver self-service BI and help business users or departmental analysts analyze data with out-of-the-box visualizations. Data discovery capabilities are available via Mac or Windows PC web browsers and native mobile apps for iOS and Android. All the interfaces are consistent and users can promote content between the interfaces. With the MicroStrategy Desktop client, business users can visualize data on any chart or graph, including natural language generation narratives, Google Charts, geospatial maps and data-driven documents visualizations. 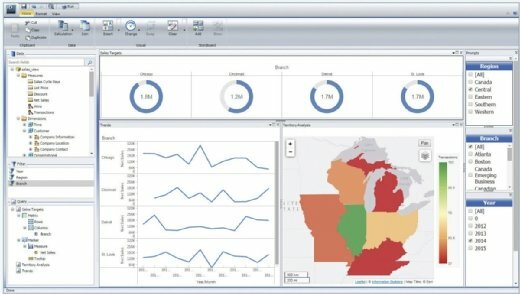 The MicroStrategy Desktop client delivers self-service BI with out-of-the-box visualizations, according to the company. They can access data from more than 100 data sources, including spreadsheets, RDBMS, cloud systems, and more; prepare, blend, and profile data with graphical interfaces; share data as a static PDF or as an interactive dashboard file; and promote offline content to a server and publish governed and certified dashboards. OpenText EnCase Risk Manager enables organizations to understand the sensitive data they have in their environment, where the data exists and its value. The data discovery software platform helps organizations identify, categorize and remediate sensitive information across the enterprise, whether that information exists in the form of personally identifiable customer data, financial records or intellectual property. EnCase Risk Manager provides the ability to search for standard patterns, such as national identification numbers and credit card data, with the ability to discover entirely unique or proprietary information specific to a business or industry. Risk Manager is platform-agnostic and able to identify this information throughout the enterprise wherever structured or unstructured data is stored, be that on endpoints, servers, cloud repositories, SharePoint or Exchange. Pricing starts at $60,000. Oracle Big Data Discovery enables users to find, explore and analyze big data. They can use the platform to discover new insights from data and share results with other tools and resources in a big data ecosystem, according to the company. The platform uses Apache Spark, and Oracle claims it's designed to speed time to completion, make big data more accessible to business users across an organization and decrease the risks associated with big data projects. Oracle Big Data Discovery uses Apache Spark and is designed to speed time to completion, according to the company. 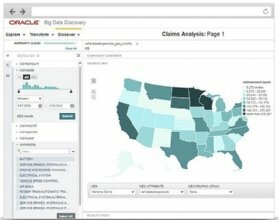 Big Data Discovery provides rapid visual access to data through an interactive catalog of the data; loads local data from Excel and CSV files through self-service wizards; provides data set summaries, annotations from other users, and recommendations for related data sets; and enables search and guided navigation. Together with statistics about each individual attribute in any data set, these capabilities expose the shape of the data, according to Oracle, enabling users to understand data quality, detect anomalies, uncover outliers and ultimately determine potential. Organizations can use the platform to visualize attributes by data type; glean which are the most relevant; sort attributes by potential, so the most meaningful information displays first; and use a scratchpad to uncover potential patterns and correlations between attributes. Qlik Sense is Qlik's next-generation data discovery software platform for self-service BI. It supports a full range of analytics use cases including self-service visualization and exploration, guided analytics applications and dashboards, custom and embedded analytics, mobile analytics, and reporting, all within a governed, multi-cloud architecture. It offers analytics capabilities for all types of users, including associative exploration and search, smart visualizations, self-service creation and data preparation, geographic analysis, collaboration, storytelling, and reporting. The platform also offers fully interactive online and offline mobility and an insight advisor that generates relevant charts and insights using AI. The product can readily integrate streaming data sources from IoT, social media and messaging with at-rest data for real-time contextual analysis. Freely distributed accelerators include product templates to help users get to production quickly. Tibco's Insight Platform combines live streaming data with queries on large at-rest volumes. Historical patterns are interactively identified with Spotfire, running directly against Hadoop and Spark. The Insight Platform can then apply these patterns to streaming data for predictive and operational insights. 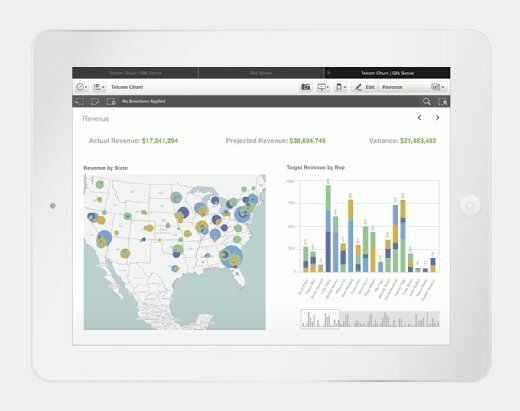 Qlik Sense is a self-service BI platform featuring data visualizations, dashboards, embedded analytics, mobile analytics and reporting. 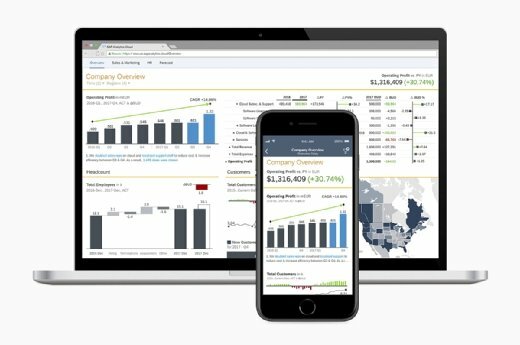 For the enterprise, Qlik Sense provides a platform that includes open and standard APIs for customization and extension, data integration scripting, broad data connectivity and data-as-a-service, centralized management and governance, and a multi-cloud architecture for scalability across on-premises environments, as well as private and public cloud environments. Qlik Sense runs on the patented Qlik Associative Engine, which allows users to explore information without query-based tools. And the new Qlik cognitive engine works with the associative engine to augment the user, offering insight suggestions and automation in context with user behavior. Qlik Sense is available in cloud and enterprise editions. 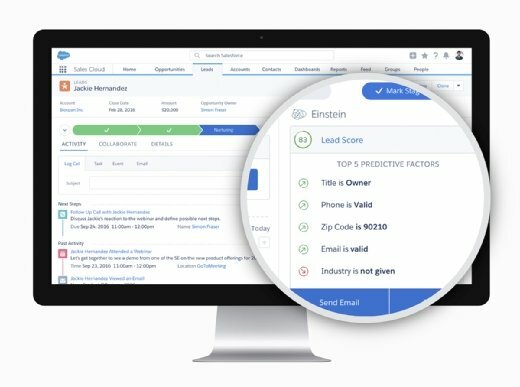 Salesforce's Einstein Discovery, an AI-powered feature within the Einstein Analytics portfolio, allows business users to automatically analyze millions of data points to understand their current business, explore historical trends, and automatically receive guided recommendations on what they can do to expand deals or resolve customer service cases faster. 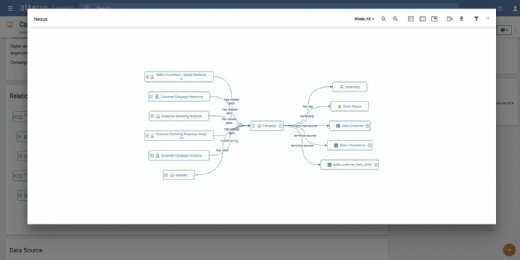 Salesforce Einstein Discovery is an AI-powered data discovery tool within Einstein Analytics with advanced visualizations. Einstein Discovery for Analysts lets users analyze data in Salesforce CRM, CSV files or data from external data sources. In addition, users can take advantage of smart data preparation capabilities to make data improvements, run analyses to create stories, further explore these stories in Einstein Analytics for advanced visualization capabilities, and push insights into Salesforce objects for all business users. Einstein Discovery for Business Users provides access to insights in natural language and into Salesforce -- within Sales Cloud or Service Cloud, for example. Einstein Discovery for Analysts is available for $2,000 per user, per month. Einstein Discovery for Business Users is $75 per user, per month. SAS Institute Inc.'s Visual Analytics on SAS Viya provides interactive data visualizations to help users explore and better understand data. The product provides a scalable, in-memory engine along with a user-friendly interface, SAS claims. The combination of interactive data exploration, dashboards, reporting and analytics is designed to help business users find valuable insights without coding. Any user can assess probable outcomes and make more informed, data-driven decisions. decision trees, allowing users to create a hierarchical segmentation of the data based on a series of rules applied to each observation. Other features include network diagrams so users can see how complex data is interconnected; path analysis, which displays the flow of data from one event to another as a series of paths; and text analysis, which applies sentiment analysis to video, social media streams or customer comments to provide quick insights into what's being discussed online. SAP's Analytics Cloud service offers analytics capabilities for all users in one data discovery software product, including discovery, analysis, planning, predicting and collaborating, in one integrated cloud platform, according to SAP. The service gives users business insights based on its ability to turn embedded data analytics into business applications, the company claims. The SAP Analytics Cloud data discovery platform offers analysis, discovery, prediction, planning, and collaboration. simplified data across an organization to ensure faster, fact-based decision-making. In addition, Analytics Cloud is free from operating system constraints, download requirements and setup tasks. It provides real-­time analytics and extensibility using SAP Cloud Platform, which can reduce the total cost of ownership because all the features are offered in one SaaS product for all users. Sisense Ltd. is an end-to-end platform that ingests data from a variety of sources before analyzing, mashing and visualizing it. Its open API framework also enables a high degree of customization without the input of designers, data scientists or IT specialists, according to Sisense. Sisense data discovery software is highly customizable thanks to its open API framework, according to the company. The Sisense analytics engine runs 10 to 100 times faster than in-memory platforms, according to the company, dealing with terabytes of data and potentially eliminating onerous data preparation work. The platform provides business insights augmented by machine learning and anomaly detection. In addition, the analytics tool offers the delivery of insights beyond the dashboard, offering new forms of BI access, including chatbots and autonomous alerts. Tableau Software Inc.'s Desktop is a visual analytics and data discovery software platform that lets users see and understand their data with drag-and-drop simplicity, according to the company. Users can create interactive visualizations and dashboards to gain immediate insights without the need for any programming. They can then share their findings with colleagues. 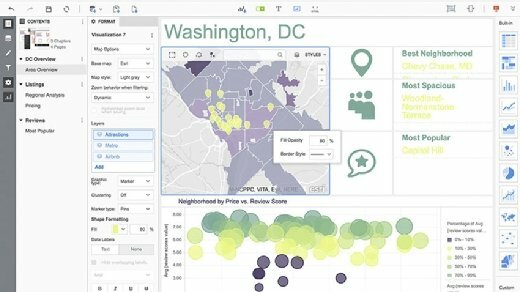 Tableau Desktop is user-friendly visual analytics and data discovery software featuring drag-and-drop functionality. Tableau Desktop can connect to an organization's data in the cloud, on premises or both using one of 75 native data connectors or Tableau's Web Data Connector. This includes connectors to cloud data sources from cloud databases such as Amazon Redshift, Google BigQuery, SQL Server, SAP and Oracle, plus applications such as Salesforce and ServiceNow. 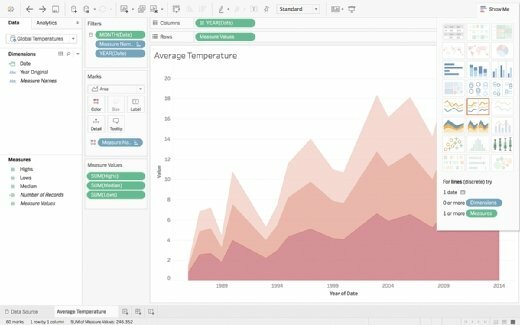 Tableau Desktop is included with the new Creator offering, which is part of Tableau's new subscription offerings, starting at $70 per user, per month. Tibco Software Inc.'s Spotfire is an enterprise analytics platform that connects to and blends data from files, relational and NoSQL databases, OLAP, Hadoop and web services, as well as to cloud applications such as Google Analytics and Salesforce. Verizon Digital Media Services -- acquired EdgeCast in 2013. A wide variety of organizations use CDNs to meet their businesses' performance and security needs. The need for CDN services is growing, as websites offer more streaming video, e-commerce applications and cloud-based applications, where high performance is essential. CDN technology is also an ideal method to distribute web content that experiences surges in traffic, because distributed CDN servers can handle sudden bursts of client requests at one time over the internet. For example, spikes in internet traffic due to a popular event, like online streaming video of a presidential inauguration or a live sports event, can be spread out across the CDN, making content delivery faster and less likely to fail due to server overload. Because it duplicates content across servers, CDN technology inherently serves as extra storage space and remote data backup for disaster recovery plans. 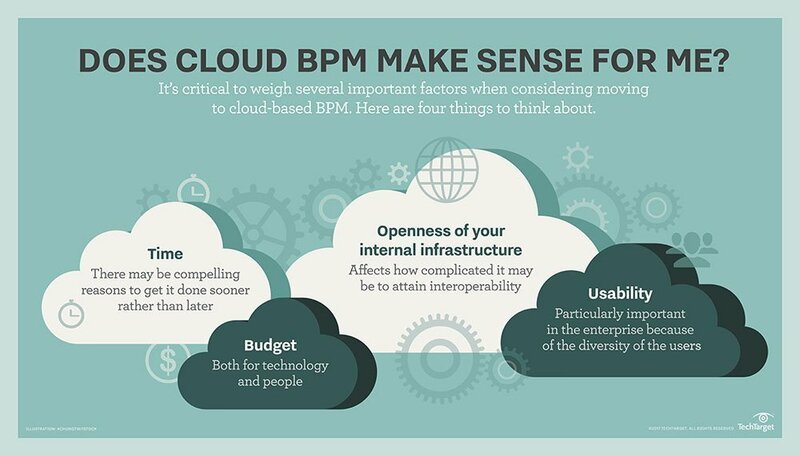 Business process management tools rise in importance as companies try to make better use -- and reuse -- of IT assets. And, when coupled with cloud, this type of software can benefit from a pay-as-you-go model for more efficient cost management, as well as increased scalability.